Look East for Great Talents! Welcome to the LET’S CEE Talent Academy! from Central and Eastern Europe, as well as Austria! The LET’S CEE Talent Academy is opening its doors this year for the very first time. 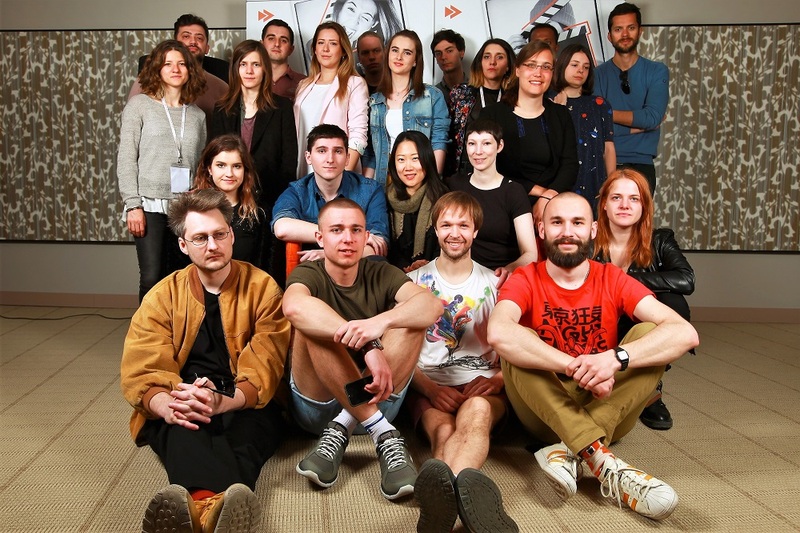 Its main goal is to give young and profoundly talented filmmakers from Central and Eastern Europe the opportunity to profit from the rich assortment that the LET’S CEE Film Festival has to offer. All free of charge, of course. It’s not only about learning the tricks of the trade and acquiring knowledge, but also about actually getting to know the professionals from the region as well as allowing young talents to get to know others of the same age. Apart from the Master Classes and the abundant choices brought to you by the LET’S CEE Industry Days, which are made up of 16 lessons and 2 podium discussions respectively, a large number of other activities will also be available to the participants, where they will able to further widen their professional as well as personal network. The participants will all be divided into groups, where they will be tasked with adapting a specific subject for the big screen. 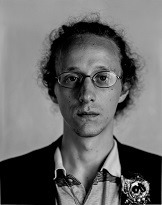 The Polish born Austrian cinematographer Jerzy Palacz will act as their mentor and accompany them through this project. At the end of the Talent Academy, a jury will assess these short film pieces and the winning team will receive €1,000 prize money, donated by the City of Vienna. Throughout the week, another event will also be taking place, in which participants will have the chance to fathom their potential as well as win. It is called Life! Ammunition! Pitching Competition with Eliot Grove and participants would have to not only pitch their film ideas to professionals, but would have to do it before a live (and hopefully enthusiastic) audience. The Award Ceremony will mark the end of the LET’S CEE Talent Academy 2017, where the film piece of the winning team will be presented. was born in Vienna, Austria. In 2014, he received his Bachelor degree in Screenwriting and Dramaturgy at the Filmacademy Vienna. He is currently attending the Master’s programme. Achmed has written numerous shorts and feature films. In 2013, his feature film The Edge won the Carl Mayer Young Talent Prize at Diagonale – Festival of Austrian Film. A year later he was awarded a screenwriting scholarship by Literar Mechana, an Austrian copyright collecting society. In 2016 his horror film screenplay The Visiting has been selected for script development funding by the Austrian Film Institute. was born in Romania. In 2007, Alecs got his degree in Film and Television Directing at the University of Theatrical Arts and Cinematography “I.L. Caragiale” (UNATC) in Bucharest. With three short films produced during college Alecs took part in several short film festivals between 2007 and 2009. He is a founder member of cultural association “Green Art Tour”. Together with Ovidiu Vasu, Alecs had been working his first independent film Billion Star Hotel since 2013, which premiered in 2016, already won 19 awards and was shown at 52 film festivals around the world. 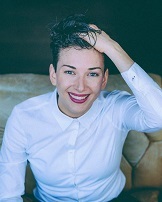 During her Dramatic Arts studies at the Rostock University of Music and Theatre (HMT), Anastasija Harrowna Bräuniger started creating her own performances. She was part of the prize-winning productions Hysterikon and Hamlet Komplex. She also won a young actors award for performing arts, Proskenion Nachwuchsförderpreis für Darstellende Kunst. After working as a professional theatre actress for two years, she started studying directing at Ernst Busch School Academy of Dramatic Arts in Berlin. She is co-funder of the “flying pig corporation”, an artists’ collective, with a studio FLUGWERK in Berlin-Wedding. Champions is Anastasija’s first short film project. originally from Romania, is an actress and a screenwriter. 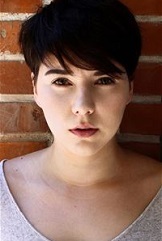 She currently lives in Vienna where she finished Bilingual Acting School and 1st filmacademy. She acted in several short films and theatre productions as well. Brigitta speaks several foreign languages and is trained in hip-hop/street dance as well as in oriental dance. In her free time she enjoys snowboarding. 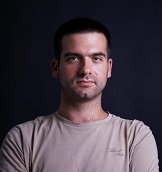 Director and scriptwriter Darijan Pejovski is from Macedonia. 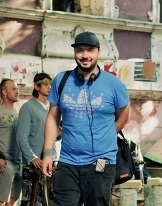 He graduated at the Department of Film and Television Directing in Skopje. He wrote and directed several short films that gained great success at festivals around the world. His first feature film Three Days in September had its premiere at World Film Festival in Montreal followed by screenings at a number of other international festivals. born in Serbia, graduated in Theoretical Mathematics in Belgrade during the post-production of his feature film debut Incarnation in 2016. The film had many international screenings at festivals such as Raindance Film Festival in London, Screamfest in Los Angeles, Cottbus Film Festival in Germany, Night Visions Film Festival in Helsinki, FantasPorto in Porto etc. 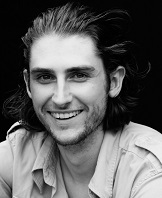 He is currently working on his second feature with his small production company Void Pictures. was born in 1989 in Vienna. She discovered her passion for film during her studies in Communication and Media sciences. In order to gain access to the film industry, she applied at film productions and finally completed internships in Vienna and Berlin. Later she worked in different positions on the set of short films, advertisements, series and features, primarily as a Script Supervisor in the recent three years. The desire to write and make her own film was always there and so she finally decided to make her own film. 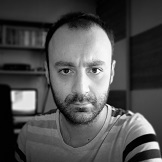 born in Targovishte, Bulgaria, is the director and writer of several short films presented at international festivals such as in Tampere, Dresden, Cottbus, Kiev, Bilbao, Trieste, Thessaloniki, Vienna and Sofia. 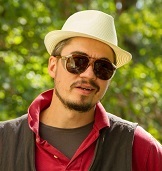 In 2013, he graduated with a Master’s degree in Film Directing from the South-West University "Neofit Rilski". 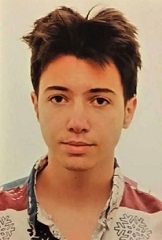 His debut short film The Son won the Main Short Film Award at Cottbus Film Festival and Best Bulgarian Short Film at the Bulgarian Film Academy Awards. born in Moscow, studied Directing in workshops by Aleksei Uchitel at the Gerasimov Institute of Cinematography (VGIK). Her filmic work mainly reflects the ten years of her music education. Irina’s first student short In the Blood Burns the Fire of Desire (2003) centres on a female opera singer auditioning as a strip girl. The piece participated in the national section of Moscow International Film Festival and in other events. Masterpiece (2016) based on The Illustrated Woman by Ray Bradbury is Irina’s graduation project. was born in Vienna. After a few years as a game designer and CGI artist he began to study Transmedia Art at the University for Applied Arts in Vienna. In 2009, he changed to the University of Arts in Berlin to receive his Master’s degree in Art and Media with a focus on experimental and narrative film in 2013, followed by the founding of his production company Zampano Film. 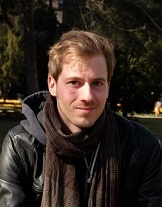 He has worked on several short and feature film projects in Austria and Germany. 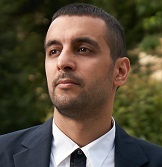 is a writer, director and producer, with a Bachelor's degree in Film and Media studies. Over the years she gained various experiences working in film and television production and post-production. She has directed and produced a few short films and worked as an assistant director, editor and cinematographer. She lives in Belgrade, where she founded the So Spring studio in 2013.
born in Munich, Germany, is a freelance filmmaker, camera operator, cutter and photographer. She lives and works in Murau, Austria. 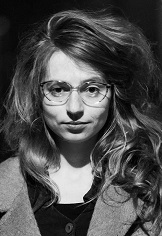 Judith is a co-founder of the art workshop ARTMUR, a member of the Austrian Documentary Film Alliance (dok.at) and she also took part in various film, photographic and book projects. From 2012 to 2013 she studied Image Technology and Camera at the Film Academy in Vienna. 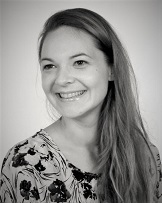 Since 2013, Judith has been studying at the University of Art and Design in Linz. She has worked as a video operator, camera assistant and assistant director in cinema, commercials and television. is a recent Film Production graduate with an honoured red degree from the Gerasimov Institute of Cinematography (VGIK) in Moscow. She has worked on several short films and is looking to secure and utilise current production skills and knowledge and to further develop skills in a practical and fast-paced environment. Her eventual career goal is to assume responsibility for the production and releasing of audio-visual projects and actively contribute to the overall success of any product she works for. born and raised in Warsaw, Poland, lives in Berlin. After graduating in Theatre and Performing Arts in Krakow she continued her education at the National Film School in Łódź, and is now on her final year of Directing. In the meantime she worked as a producer, camera operator and fixer for foreign news agencies and TV broadcasters including France II, Al Jazeera, BBC and Travel Channel. 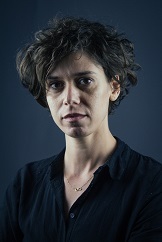 After directing the documentary series The Bieszczady Stop for the Polish Discovery Channel she returned to film school for her Fiction and Documentary diploma. born 1989 in Berlin, studied philosophy, psychology and film studies at the Free University of Berlin and the University of Seville between 2008 and 2014. 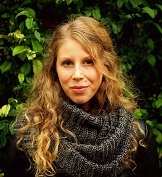 Beside academia she founded the student film group NYX-Filmkollektiv, directed two theatre groups and taught improvisational dance to kids and students. Her first feature Buschow was released in 2015. Wander will be her third feature film. Since 2015, she has been a student of Michael Haneke at Filmacademy Vienna. 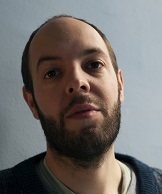 born in Constanta, Romania, is a visual artist and filmmaker. She is a graduate student of the Media Art School in Karlsruhe, Germany. 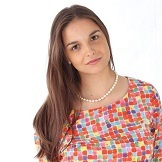 Ruxandra started working in the film industry in 2006 making her way up from assistant video operator to script and continuity, currently working as a director and scriptwriter. Over the past years her short films got selected for various international film festivals. 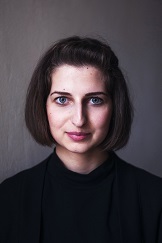 Ruxandra was also a participant at Transylvania Talents 2014, Sarajevo Talents 2014 and Berlinale Talents 2015. Her latest project Otto the Barbarian won the development grant from Media Single Projects, Creative Europe, the Romanian Film Center Development Grant and the Macedonian Film Institute Prize at the Sarajevo Film Festival 2016.
born in Baku, Azerbaijan, has a BSc in Economic Cybernetics from Baku State University and an MBA in Marketing from West Texas A&M University. He worked as marketing director within various commercial entities in Azerbaijan before immersing into the cinematic realm and founding Film Production in 2013, which produced more than a dozen short films, four of which made it to international festivals. In 2014, he was admitted to the Locarno Summer Academy. 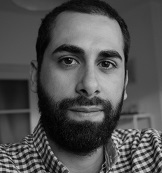 His short films are The Wound (2013), Shanghai, Baku (2016) and Salt and Pepper to Taste (2017). 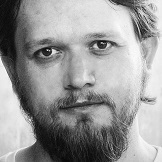 Actor and director Vladimir Beldian, born in 1982, currently lives in Moscow. He finished the Boris Shchukin Theatre Institute as an actor in 2008 and as a director in 2016. He has worked both in theatre and in cinematography, e.g. In the Theatre (2012) and Buzzing of A Bumblebee (2015). The latter appealed to audiences at several festivals around the world. is a cinematographer with expertise in shooting short films, documentaries and music videos. In 2016, he graduated Kyiv National I. K. Karpenko-Kary Theatre, Cinema and Television University. Volodymyr began his way into cinematography with still photography, later switching to moving pictures. He develops his own visual style based on film noir and impressionist aesthetics.